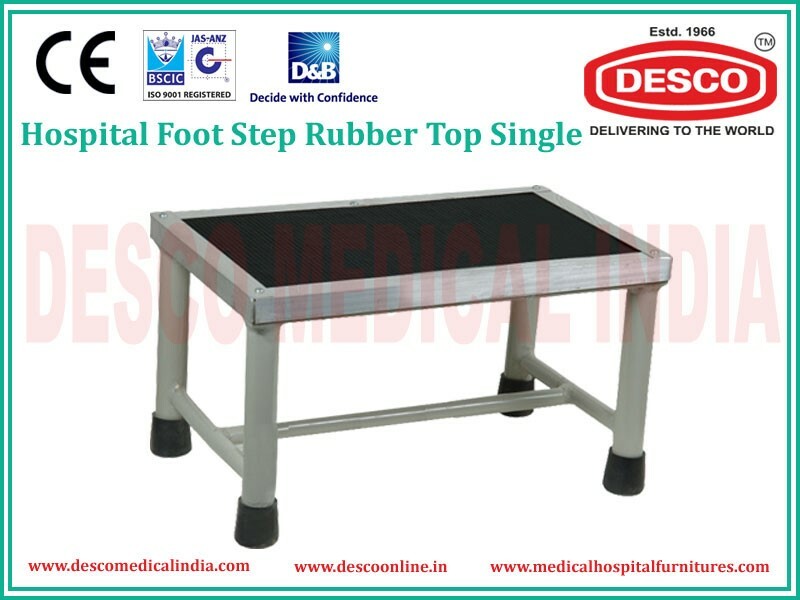 The term medical foot step suppliers relates to the different equipments needed in the medical field, either for surgery or other medical instruments needed at each step of the care for a patient admitted in a hospital for treatment. A patient’s life depends on the right diagnosis and instruments needed for this should be up to the highest standards. No compromise can or should be made in this. Lot of companies are there in the market for this but one company which has made it’s mark in this field is DESCO INDIA. The company has been in this field since 1966.The company is ISO 9001-2008,ISO 13485:2003 WHO GMP CE Certified Star Export House Company, approved by the Govt. of India. The company’s products, as medical foot step suppliers, were on display at the fair ‘Africa Health’ held in South Africa from 8th to 10thJune, 2016 at Stand No.3 M35.in Johannesburg, so one can gauge the performance of the company from this. The company also took part in the ‘Arab Health’ Fair, held in Dubai on 25th and 26th January 2016, at the Dubai International Convention & Exhibition Centre at stand No#4 B 19. Fixed stools: modular seating design offers nearly unlimited options for our ergonomic medical stools and chairs, including customized backrests and covers, seat bases, seat supports, armrests, chair columns, five-star bases, castors, slides and disc bases. Surgeon chair: it comes with arms or without arms and there are two varieties, that is deluxe and standard. Deluxe is with cushions and the other is hard top. Waiting chairs: they come fixed, with two, three four and five chairs, combination. The products of the company can be selected by looking at the brochure of the company and for bulk supplies one can even contact at the phone number given in the brochure. Mr. Rohit Sabharwal MD for Desco India has been instrumental in taking the company forward to a level where it can compete with other foreign companies under the make in India campaign.